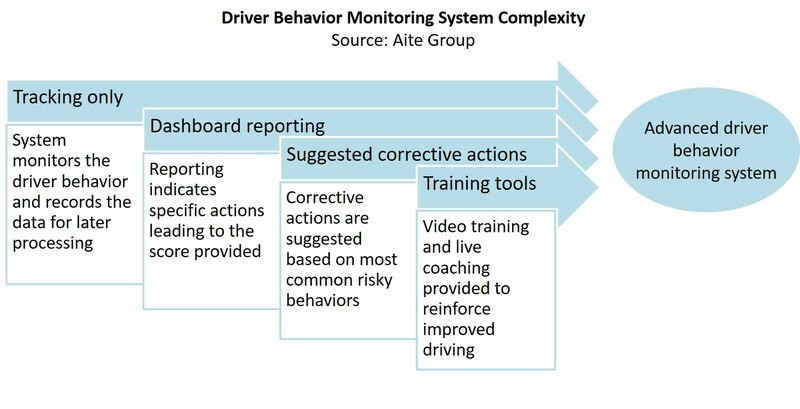 Driver behavior monitoring systems with reporting tools and training programs are key to reducing overall risk. Boston, November 6, 2018 – Insurance carriers are desperate to strike a balance between increasing customer engagement and managing downside risks and their bottom lines. Telematics vendors’ advanced driver monitoring systems enhance rating capabilities, improve driving habits, and provide a conduit for more customer interaction. Could they help carriers pull off this high-wire act? This report outlines key driver behavior monitoring systems and technologies designed to help personal lines and commercial lines insurance carriers as well as vehicle operators manage risk. It is based on interviews conducted between May and October 2018 with 24 executives at insurers and telematics system vendors across North America, Europe, Asia, and Africa. This 20-page Impact Note contains three figures and five tables. Clients of Aite Group’s P&C Insurance service can download this report, the corresponding charts, and the Executive Impact Deck. This report mentions Amodo, Baseline Telematics, Cambridge Mobile Telematics, Cellcontrol, Intelligent Mechatronic Systems, Octo Telematics, SpeedGauge, Telematicus, The Floow, and Zendrive.